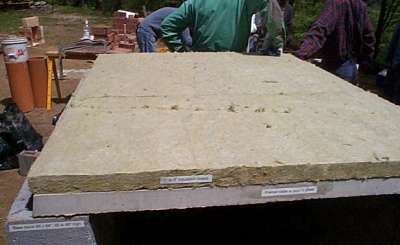 1) Build masonry base at least 40" wide by 52" deep, and 38" high for a finished oven floor 42" above the kitchen floor or ground. 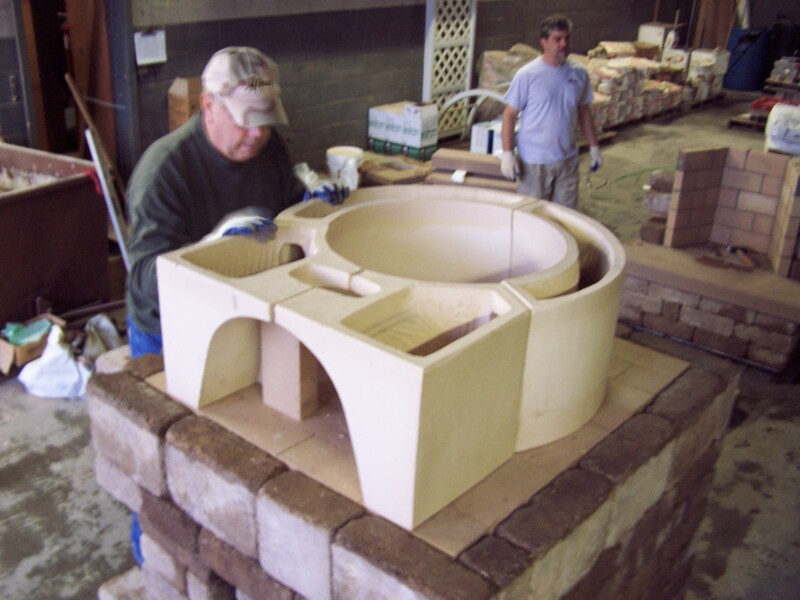 The inside of the oven is 24" in diameter and the walls will be about 8" thick so the base should be about 40" wide and 52" front-to back-to allow for a 12" counter or hearth extension in front of the oven entrance. 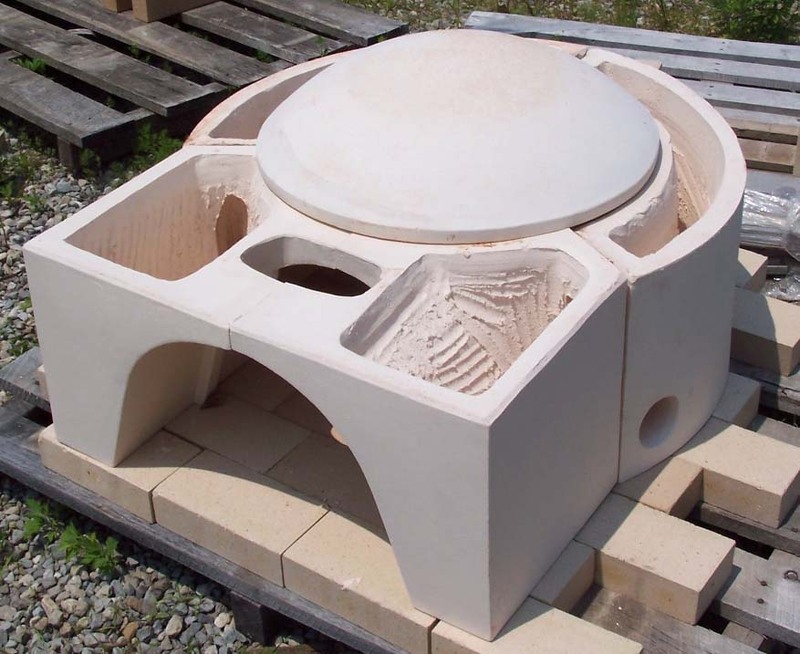 3) Lay out a 24" circle on oven floor and set the two piece entrance tunnel and two oven base sections as shown using HeatStop II refractory mortar. 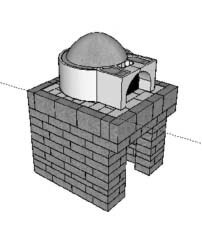 4) Set the oven dome and the first flue tile all in Heatstop II refractory mortar. 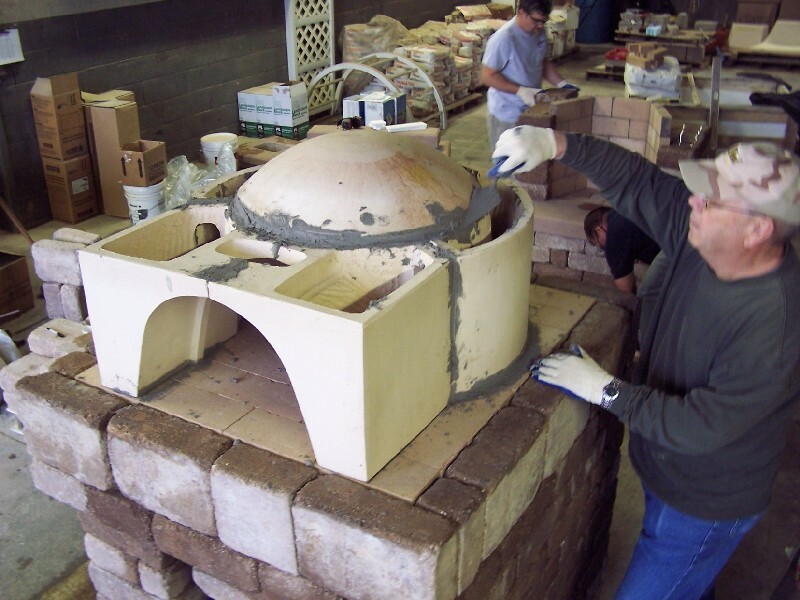 5) Fill the voids in the base sections and parge oven dome with insulating castable refractory at least 2" thick. 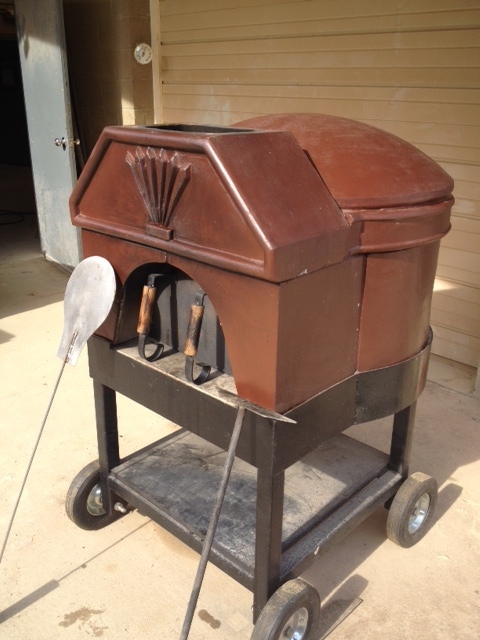 The oven can be finished in many ways. See the pictures. 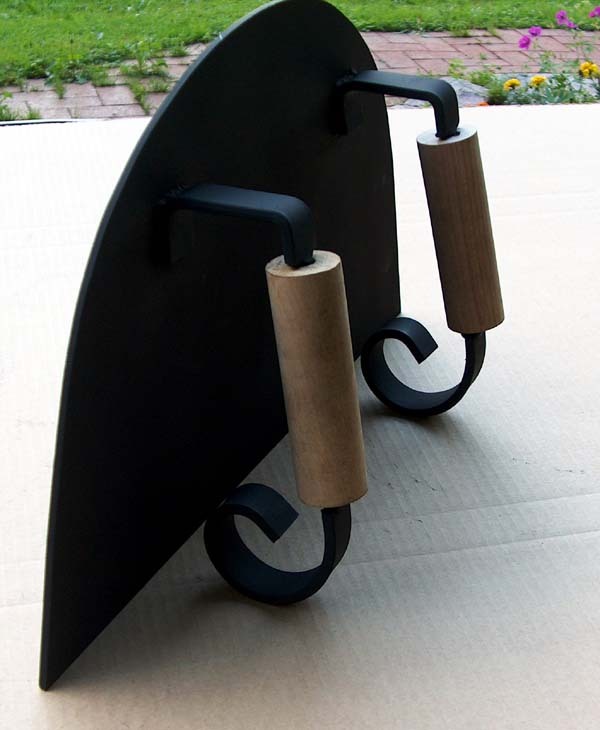 Since the liner base sections are hollow and filled with insulation, they can be glazed or painted (or not) with no need for any enclosing masonry. Here is one example using a terracotta entrance, spacer and larger raincap dome.